Although we service Midlothian, West Lothian and parts of Fife, its our locksmith East Lothian work we enjoy the most. There’s no denying its one of the most beautiful places in Scotland – if not Britain. from its little towns to its beautiful beaches, what is there not to love? its certainly great to escape the hustle and bustle of Edinburgh for a while! 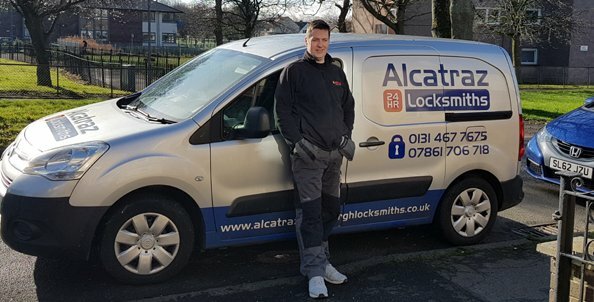 Alcatraz – Edinburgh locksmiths are based in Edinburgh right next to the city bypass so we are able to deliver a speedy service. Usually we can be at most parts of East Lothian such as Haddington, Tranent and Dunbar in under 30 minutes. sometimes we can get there even faster when the city bypass isn’t busy. we supply and fit all standards of locks, from a standard Yale cylinder to a high a security Ingersoll nightlatch. As well as supplying and fitting a full spectrum of locks, we also provide an emergency locksmith east Lothian service. when we receive your call we do not mess about getting you back into your property when locked out. However, this doesn’t mean we will destroy your lock to save time. More often than not we use opening methods which leave the lock in the same condition as when we arrived. Opening locks without using a drill or wrecking tools means no extra money is needed to replace damaged locks. who doesn’t love a saving these days! We have a team of locksmiths willing to come out and sort out any lock issues you have 24 hours a day, 7 days a week. Between us we have many years of experience and have genuinely seen it all. we all carry identification and proof of our qualifications relating to the industry. All work undertook comes with a minimum 1 year guarantee. However if you have problem after this period still give us a call. We do not view the customer as just an income source, we treat them as if they were friends and family. In all the years we have been running we have never had a bad review. If a customer does raise an issue we make sure its resolved quickly and the are 100% happy. We are not based at a commercial premises, we are a team of mobile locksmiths who work from home. Therefore, we don’t have the outgoings of other locksmiths in East Lothian who operate from a shop. They have to pay many overheads such as gas, electricity and rent, which means the prices they charge customers will by higher. We only pay for fuel and stock, so we can keep the prices down on the jobs we do. In all the years we’ve been in operation we have never had a complaint about prices. This is something we are extremely proud of and will continue to deliver. unfortunately we live in times when our homes need secured with the most advanced locks. As locks have developed over the years so has the burglars methods of opening them. This is where Alcatraz – Edinburgh locksmiths can help you out. One of the services we offer our customers is a ‘free home security survey‘. We look for any existing vulnerabilities, such as UPVC door locks that can be snapped out the door; providing easy access to any intruder knows what they are doing. Maybe the existing locks on your wooden door could be forced open with a good push? Maybe your window handles could be replaced with locking ones? These are the issues we are looking for during the security survey of a property. Most customers would be surprised at how cheap some of these issues above are to resolve. For example, you can buy a locking window handle for around £10 and we would fit them to all window in the house for around 1 hours labour. If its not a security concern you have, and are just looking for an East Lothian locksmith to upgrade, or repair a lock. Give as a call on 0131 467 7675 any time. We NEVER charge for coming out and giving an estimate, and we never pressurise people to give us the job. We are confident people realise we are genuine and well priced, so we don’t ‘chase’ the sale like other companies. We can give most estimates over the phone, and all prices are fixed. This means you don’t need to fret over a job taking longer than expected.